Why use the Big Picture? It has a 50 percent conversion rate, it's growing the churches. And as a evangelism tool, it's easy to use. What is it? 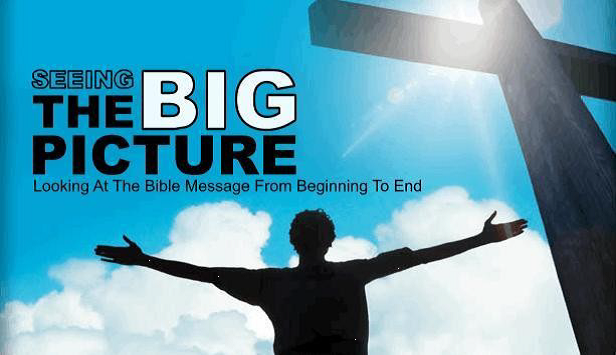 The Big Picture of the Bible is a book that was written by Ken Craig and can be used as a flipchart as a Bible based presentation. When giving this presentation, it should last about 45 minutes to an hour. The presentation/book outlines the plan of salvation through the Old Testament sacrifices and underlines the Old Law foreshadowing the New Law and the coming of Christ, as the ultimate sacrifice. See further pages we have on this topic for more details.